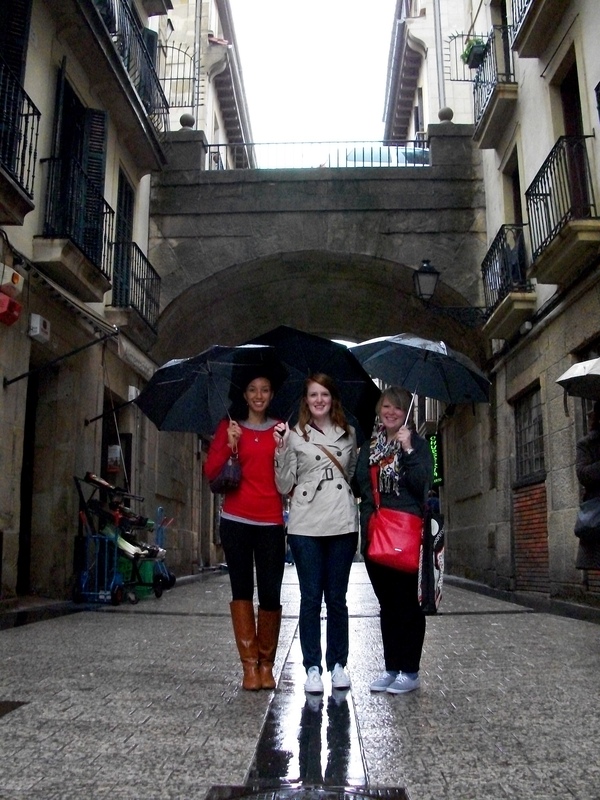 I remember saying that El Escorial was the best girls’ trip ever, but I think my weekend in San Sebastian topped it. (O.K., bothwere awesome, so I guess El Escorial was the best day trip and San Sebastian was the best weekend trip.) 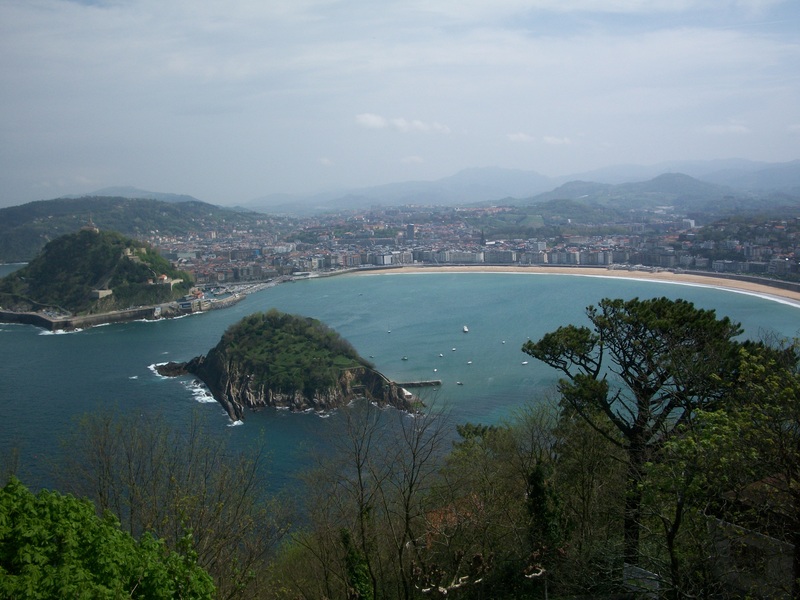 San Sebastian is on the north coast of Spain and the beach is one of the most beautiful I have ever seen! It looks like a horseshoe made up of the two mountains on each end of an arch-shaped strip of sand and one more island mountain in the middle. We took a bright red cable car up to the top of one mountain got breathtaking views…and ice cream. (From Left) Laura, Amy, Paige and myself in front of the beach. From one of the mountains at the end of the beach. Speaking of food, the cuisine in San Sebastian actually is the best in Spain. A friend of mine told me some of the best chefs work in northern, coastal cities because of the tourism and French influence. I didn’t fact check this, but I believe her because everything we ate was delicious! The food in Spain has just been O.K. I haven’t been blown away by much except for good paella, brava sauce and aioli sauce. SanSe is apparently famous for its pinchos, aka small servings of gourmet food, which were piled on every other bar’s counter. I loved anything and everything with mushroom sauce! 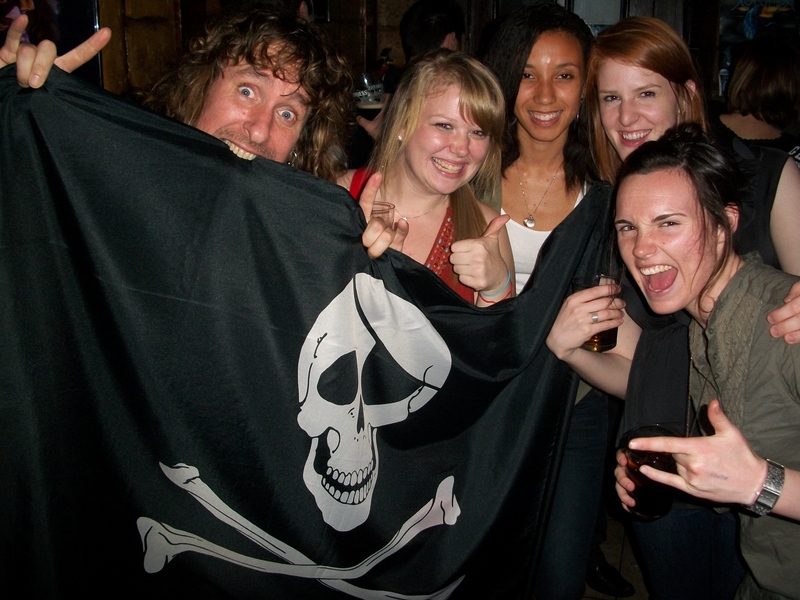 The old part of the city was great for bar-and-pincho hopping, which phased into just drinking at a pirate bar that was blaring hard rock music while playing Taylor Swift on CMT with Captain Hook’s look-alike as the bar tender and John Travolta’s look-alike as our new friend…? ?…whatever Spain. LOL! After that bar we went to a couple of clubs, neither of which charged a cover. (Thank you, SanSe!) Regardless of where we went, there were people all over the streets, lots of bars, the usual lack of an open container law, and everything was walkable. In addition to a beautiful beach and entertaining night life, the shopping was comparable to that of Amsterdam, which has had the best shopping of anywhere I’ve been so far! There are a lot of boutiques and shops in the old city of SanSe that are different from the usual Zara and H&M. (Not that I’m hating on either of those stores at all!) 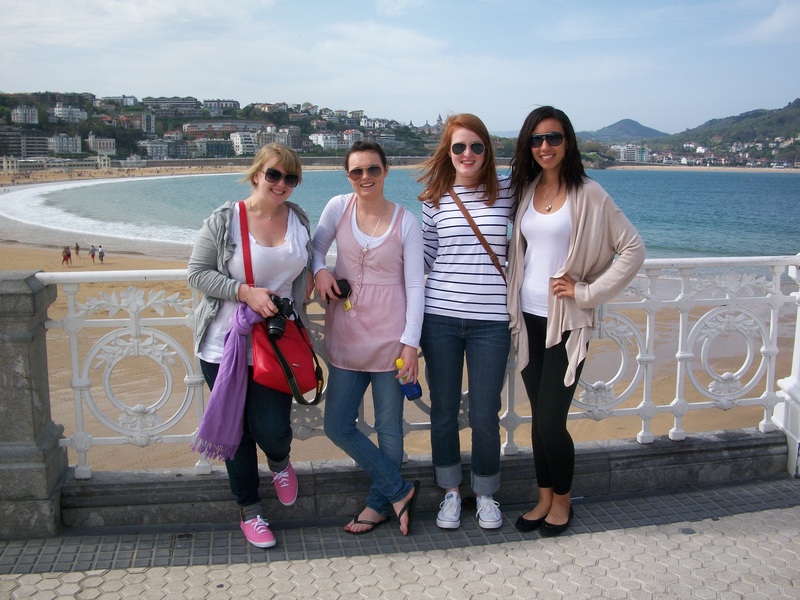 Basically, I highly suggest San Sebastian to anyone looking for an awesome vacation! Last minute shopping. Not even the little bit of rain we got could put a damper on our trip!